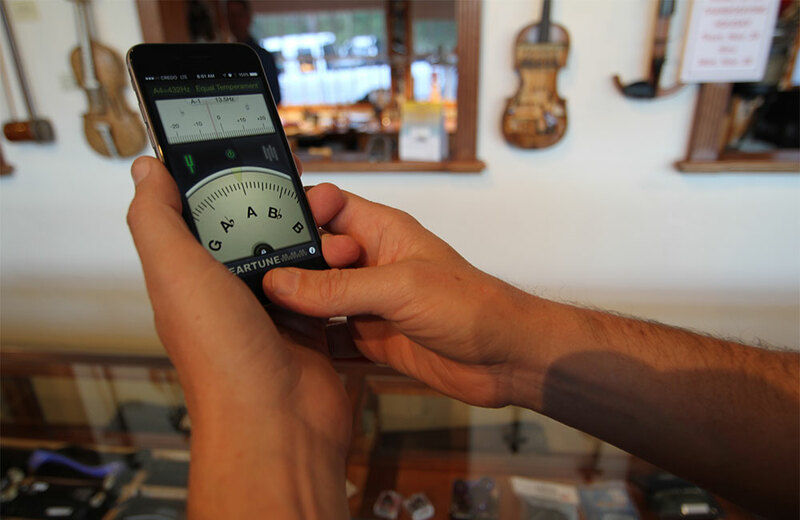 Violinists and other instrumentalists will find that tuners, metronomes and other useful and necessary violin accessories are now available as applications, or “apps” on smart phones. While many musical apps come in the form of animated games and other toys for kids, there are also apps designed for professional instrumentalists to use. For established musicians, smart phone apps may never replace an accessory’s real life equivalent, but many apps are free of charge and can fulfill the practical functions not as well as the ‘real’ ones, but well enough. Violin players have used metronomes for centuries. The device, patented by John Maelzel in 1815, produces steady clicks to help the instrumentalist to maintain a steady and even rhythm while playing music. Metronomes can typically be adjusted by the number of beats per minute, from a slow tempo of 30 BPMs to a very fast allegro of 250 BPMs. Metronome apps such as Mobile Metronome for Android are free and do the trick; perhaps not as well as a portable electronic metronome or its old-fashioned analog pendulum-swinging counterpart, but well enough to use “on the road” or in any crunch situation. Metronome Plus for iPhone is the most highly rated app, with a sleek design and rhythmic visualizations, speeds adjustable by tapping, and allowing other apps to be opened concurrently, great for musical multitasking. The tuning fork, invented in 1711 by John Shore, has been used by violinists to tune open A-strings to 440 Hz, the standard for all stringed instruments in Western music. Several apps not only perform this function well but also measure pitch through the phone’s microphone and suggest raising and lowering the pitch. The highest ranked tuning app is ClearTune for iPhone. For $3.99 it provides a user-friendly interface with a dial that turns towards sharp or flat when any note is played. Customizations are available, giving the user a selection of other temperaments, notations and transpositions. While the use of these apps by players of violins, cellos and violas is widespread, they are utilized mostly for the sake of convenience and portability. String players tend to be traditional when it comes to their instruments, including their accessories. An iPhone could never permanently replace a beautiful, wooden metronome in a classy studio, ever.